How do you explain the Invisible? I started this blog thinking that no one seems to be talking about hyperthyroidism and the complications that go along with it. That when I look to see if anyone is going through similar things to feel like, ok, this is normal, or I can … Continue reading How do you explain the Invisible? What the heck Poland springs? 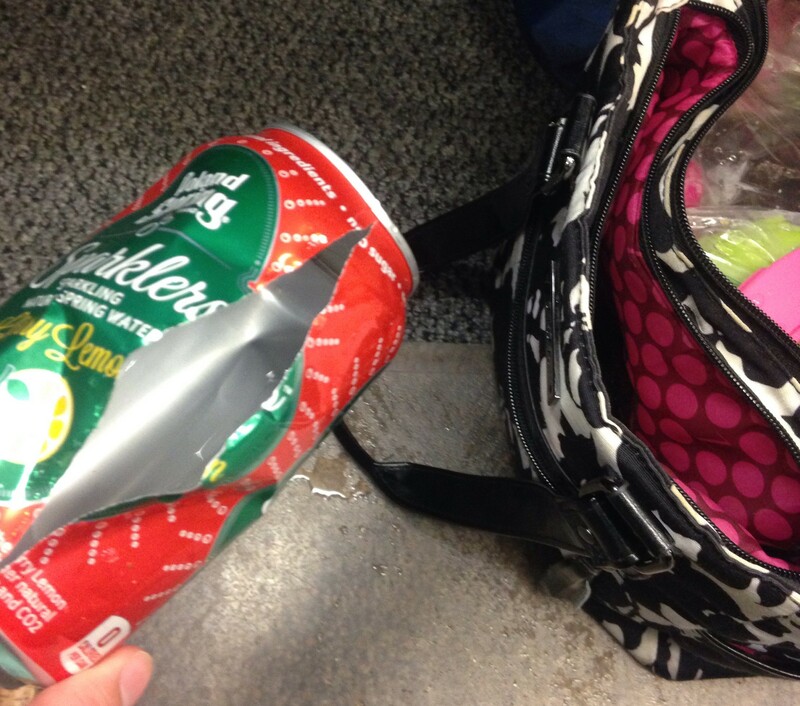 How I am supposed to enjoy a sparkly beverage if its all soaked in my lunch! Happy Friday to those who have lunch, and a sparkly beverage to go with it. Follow my blog with Bloglovin Please and Thank You! There is nothing better than running 3 miles and letting people throw paint at you in the middle of the night, and to pay to do it!! 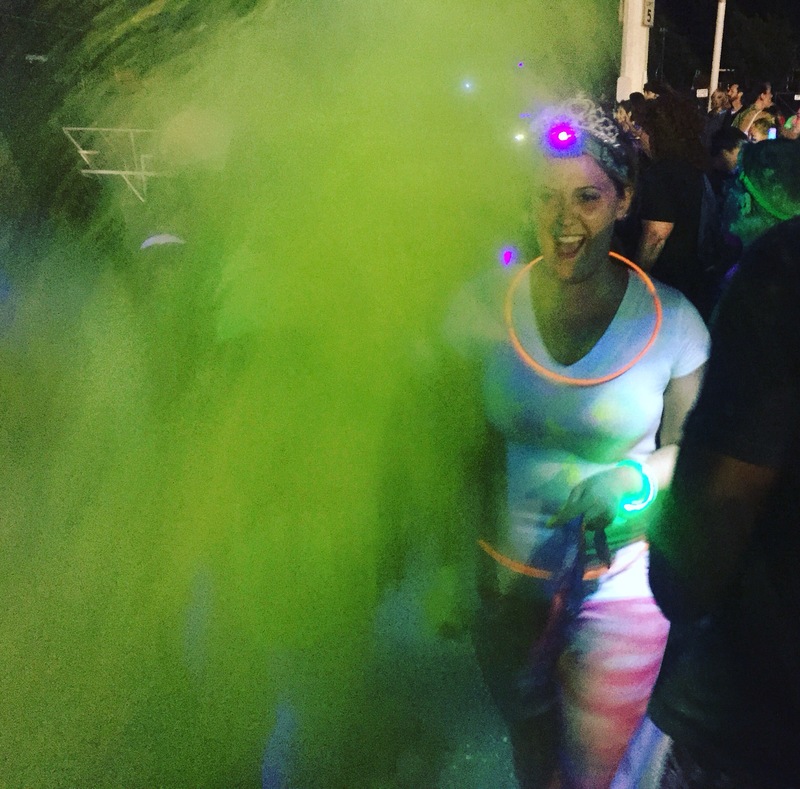 Last week I did the Color Run Night Run and enjoyed race day as much as I always do. Race day is the best day! Earlier this year we had about 10 people in our team ” Shenanigans” ready and roaring to race through the throngs of corn starch, but we were sidelined by a severe thunderstorm to run another night. Fast forward to labor day weekend and we were down to three runners. How most of our pictures came out, but you get the jist. It’s very important how you prepare for a color run! Intense training, I think I ran about 3 miles total the weeks leading up to it. Good hydration, we had light chocolate martinis before we started. Lots and lots of color, I wore hot pink yoga pants, orange socks and hot pink lip stick. Proper Gear, a head lamp, a tiara and massive quantities of glow necklaces. Then you are ready to run! Just to show you that it was, indeed, dark. Your form during the run is also very important. 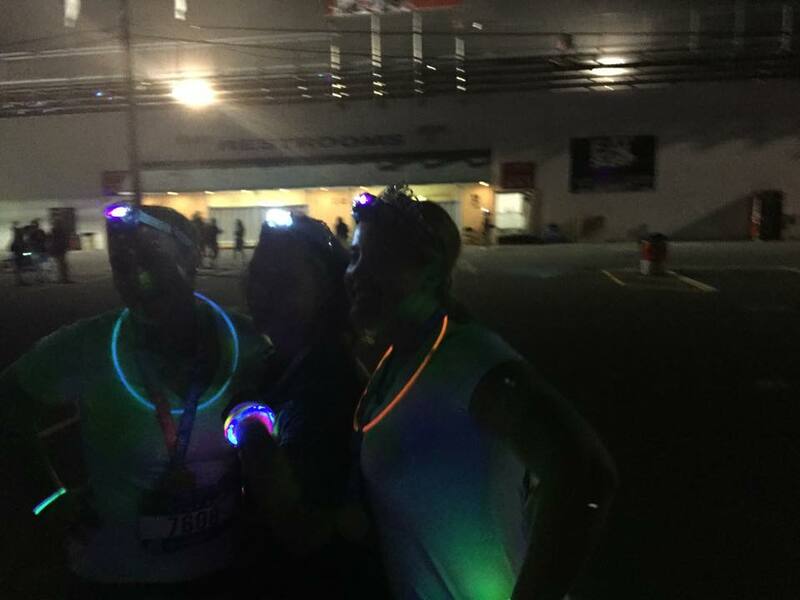 My mom decided she wanted to do races and this is her second 5k, she took to randomly sprinting away from us then walking and not telling us she was walking so we lost her in the dark, she would also burrow her head in her hands and yell at the young volunteers “Don’t you dare throw paint at me,” because who would do such a thing at a color run. Now that is one option for your running form, I think we would call that intervals. The second one is a little more free form. I’m not sure what started this, but my friend running with us said I think you should start skipping so I did, now apparently I skip incorrectly and a gaggle of pre-teen girls were behind me and decided to show me how to skip for a quarter of a mile, a little later we galloped, I don’t know where these girls were hiding in the dark, but as soon as I galloped they were right behind me galloping. The only logical thing to do was to leap and pirouette and scream “Woo” and there they were leaping and galloping and yelling “Woo”!!! It made my day, its the closest I will ever be to a role model. We came to the last color station and some how mother was basically unscathed by any paint, so we grabbed her arms and screamed “Get her” they were delighted to help and she was covered in pink. At the lit up finish line we were handed bags of paint/powder, what are we supposed to do with these now that we are covered in paint and finished running? Dad and Husband were waiting at the finish line after cheering us on, throw it at them I guess! Now we were all covered in some sort of paint, but someone gave husband one of those color bombs and I am still getting paint out my ear. Being greeted by husbands color bomb. I am pretty sure it is still in my ear, but it frames my stars nicely. All in all, I call it a good day and a great way to show off how great you are at prancing around in the dark! I would love to hear how you get ready for Color Runs! Thanks for reading, let me know what you think!